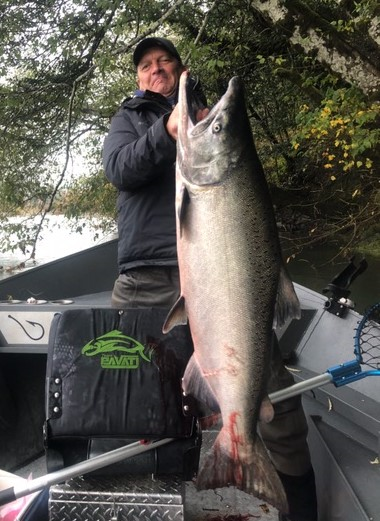 With very little rain over the past week and the rivers on the drop, the end is likely in sight for the late, fall-run salmon season on the North Coast. 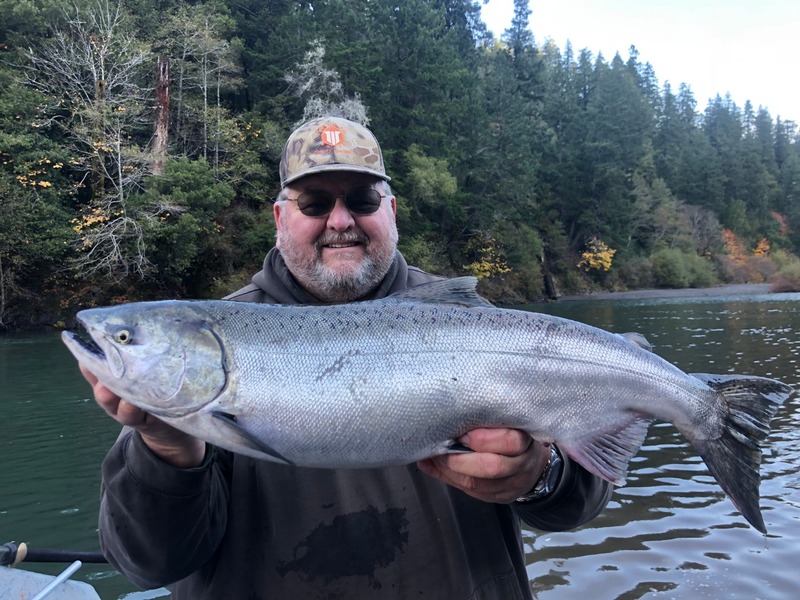 The season has been somewhat of a disappointment to fishermen as only a couple major storms hit the coast and dropped enough rain to bring the Smith and Chetco up to ideal levels. While the fishing window was very small, that doesn’t necessarily mean the number of returning salmon was small. Even during the low water conditions, salmon were seen making their way upriver on all of our coastal streams. Typically, the season’s first big rains come in October, leaving us a good four to five-week window to fish. That hasn’t been the case the last couple of years as the salmon didn’t bother to wait for us, or the strong flows to get them to their end destinations. On the flip side — with the calendar now saying it’s December — expect the winter steelhead to start showing in numbers in the rivers. The Chetco has seen quite a few adults make their way in and the Smith steelhead should be right behind them. But don’t give up entirely on salmon just yet. The Smith, Chetco and the Eel should each see another spurt or two of fresh kings move in on the next substantial river rise. The next round of storms should arrive by mid-day Sunday according to Matthew Kidwell of Eureka’s National Weather Service. “The bulk of the system should move into the area on Sunday afternoon and will linger into Monday. We could see up to an inch and a half in the Smith basin and up to an inch here locally. We’ll have a break beginning on Monday afternoon, with the next system forecasted to arrive Tuesday night or Wednesday morning. There’s quite a bit of uncertainty with this one, but we could potentially see one to two inches. We’ll get another short break on Thursday, with the next system predicted for later in the week or by the weekend,” said Kidwell. Sport Crabbing inside Humboldt Bay has improved according to Justin Kelly of RMI Outdoors in Eureka. He said, “I’ve been hearing that the fishing has improved. The best spots have been between the Coast Guard station and the entrance. The medium-sized crabs are in really good shape, while the jumbos are still a little light, but improving. Squid and chicken seem to be the bait of choice,” Kelly added. Typically crabbing is best an hour and a half on both sides of the slack tide. The commercial Dungeness crab fishery from Bodega Head, Sonoma County north to the Sonoma/Mendocino county line will open this Saturday according to a press release issued by the California Department of Fish and Wildlife (CDFW). The area from the southern boundary of Bodega Head State Marine Reserve, Sonoma County (38° 18' N. latitude) north to the Sonoma/Mendocino county line (38° 46.125' N. latitude) was closed due to elevated levels of domoic acid. The fishery will open at 12:01 a.m. on Saturday, Dec. 8, to be preceded by an 18-hour gear setting period that would begin no earlier than 6:01 a.m. on Friday, Dec. 7. No vessel may take crab within a delayed area during the closure period. In addition, any vessel that has landed crab from ocean waters outside of this delayed area is prohibited from taking, possessing onboard, or landing Dungeness crab in this area until Jan. 7, 2019 pursuant to Section 8279.1 of the Fish and Game Code. The main stem is turning green and was fishable on Wednesday reports Paul Grundmans of Grundmans Sporting Goods in Rio Dell. He said, “We may see a few fresh salmon coming in, but the majority likely moved upriver during the higher flows. We’ve got some pretty big tides happening, so we should see the first of the winter steelhead start to make their way in,” Grundman added. The flows were just below 1,900 cfs on the Scotia gauge on Wednesday afternoon and predicted to be around 1,000 cfs by Saturday.